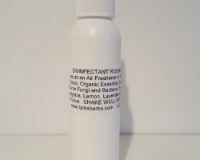 Home / ANTIBIOTIC THROAT & BODY SPRAY / Antibiotic Throat & Body Spray…….2oz. Our ANTIBIOTIC THROAT & BODY SPRAY FORMULA KILLS SERIOUS Life Threating INFECTIONS and is “The Cure for the FLU and the COMMON COLD “. We have blended Organic Essential Oils that kill Bacteria, Viruses, & Fungal Infections. First line of RESPIRATORY DEFENSE AGAINST Adenoids and Tonsilitis. Acts as a broncho dialator & anti- inflammatory for treating COPD breaking up the muscous & infection. Spray the back of your Throat for Strept Sore Throats ,Thrush, Gum Disease, ALLERGY Relief, Headaches, Migraines & SINUSITIS. It kills the infections, drains the sinuses, no more painful sore throat or cough. Sprayed daily to the back of your throat it protects you from others coughing and sneezing on you. Spray on chest for ASTHMA congestion, Spray feet for Athlete’s Foot. Spray on Poison Ivy. Impetigo, MRSA, Insect Bites, Genital Herpes, Cold Sores, Open Sores, Itching, Abcesses, Earaches & Ear infection, for any infection anywhere but in your eyes. Can also be used as a sickroom spray. This really works and relieves all these symptoms. Safe for Children 1 year & UP !! A Gentle, Safe, Good Tasting Product for Serious Life Threatening Infections. 3 reviews for Antibiotic Throat & Body Spray…….2oz. 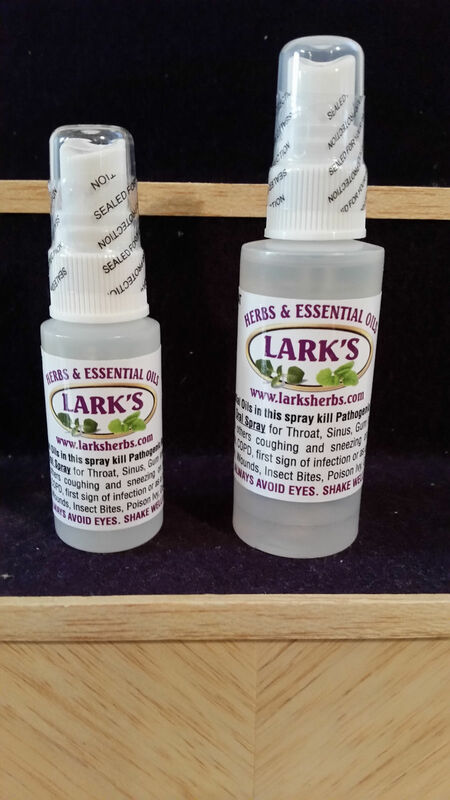 My family and I use Lark’s Antibiotic Throat and Body spray for colds, flu, congestion from allergies, sore throats, sinusitis, as a preventative for getting sick when the people around us are coughing and sneezing, on cuts and wounds to ward off infection, Thrush, cold sores, and so much more. Once I was SO congested and still couldn’t breath out my nose (which was strange because normally 2-3 squirts in the back of my throat, then breathing deeply in and out a few times through my nose will work), I sprayed some on my finger and put it inside my nose. My sinus cavities felt a little burning sensation for about 2-3 seconds but I had instant relief. It also leaves your breath smelling fresh. This is one product that I make sure my family never runs out of. I have used the throat spray for 6 years for sore throats, sinus issues and colds and mouth sores. It works great! It also tastes good. two years!! I use it for my ears as well!! than any over the counter remedy! !